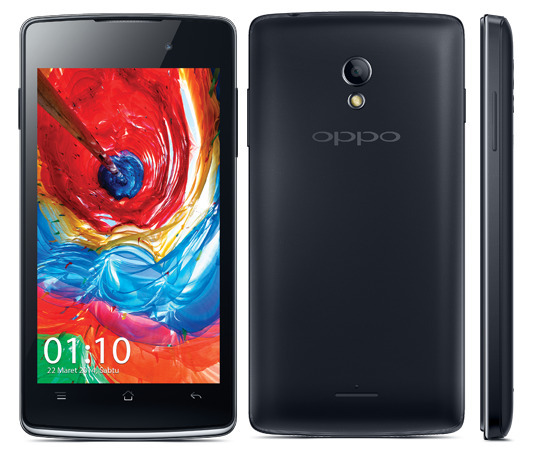 Oppo Joy has been launched in India at price of RS 8990. The Oppo Joy has entry level specifications and is accomplished with very limited 512MB of RAM. It has 4 inch 800 x 480 pixels Display and runs on Android 4.2 OS. Under the hood there is 1.3 GHz dual core CPU paired with 512MB of RAM. It would compete with Gionee P2S, Videocon A29 and Karbonn Titanium S1 Plus. You will not get much Joy , when you buy the Oppo Joy. In India you can get Karbonn Titanium S1 Plus with 1GB of RAM & quad core CPU for just RS 7,000. The Oppo Joy has Dual SIM support an it takes one normal SIM card and a micro SIM card. It has 3-megapixel primary camera and a VGA front camera. It offers standard connectivity options and 512MB of RAM. It houses 1700 mAh battery, which would not be enough for heavy users. Oppo Joy will be available in Black and White colors.